S (Scripture): Acts 18:18 Paul, after staying many more days in Corinth, said farewell to the brothers and sailed away to Syria accompanied by Priscilla and Aquila. He had his hair cut off at Cenchrea because he had made a vow. 19 When they reached Ephesus, Paul left Priscilla and Aquila behind there, but he himself went into the synagogue and addressed the Jews. 20 When they asked him to stay longer, he would not consent, 21 but said farewell to them and added, “I will come back to you again if God wills.” Then he set sail from Ephesus. O (Observation): Paul befriends Priscilla and Aquila and does some ministry with them. They go with him to Ephesus, and they stay there and establish some more ministries. What is it about their arrangement that gives them the desire and willingness to do that?! This form of disciple-making falls into the category of “pick up your cross and follow me,” which Christ encourages. This is how the early church worked. This is how I will be okay with pouring a lot of my heart and soul into a few key leaders, and also be okay with letting them lead. What works better for you? To be a leader or follower? 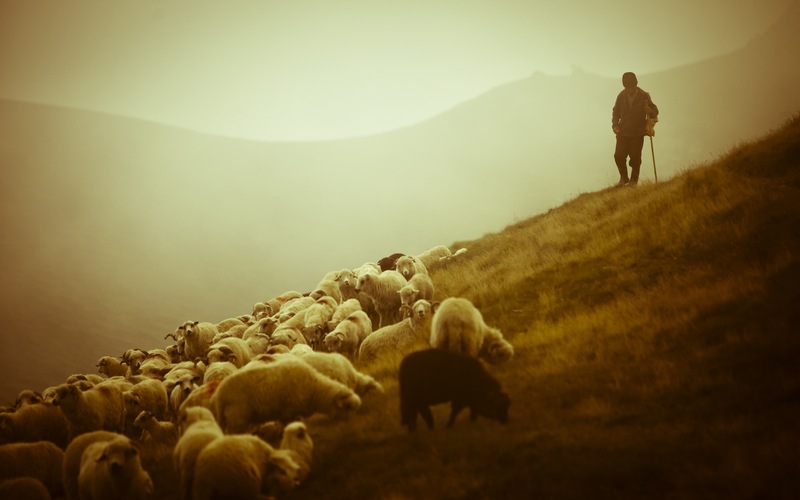 Can you recall times when you were called upon to be a shepherd or a sheep? P (Prayer): Lord, give us strength to lead and to follow and the wisdom to know when to do each. Amen. This entry was posted in Digging Daily, Growing Leaders and tagged Ephesus, Follow, Jesus, Lead, Paul. Bookmark the permalink.